Unai Emery has opened up about Reiss Nelson’s future at Emirates, and it sounds like he is reserving a spot for him. At the moment Arsenal lack wide attacks as they have zero wingers. There’s a reason why Leon Bailey, Kingsley Coman and more were all linked with a move to Emirates this summer transfer window, and there is a reason why they will continue to be linked. That’s the reason why fans were surprised when Reiss Nelson was loaned out to Hoffenheim as the Gunners hope that the youngster will improve his game under promising manager Julian Nagelsmann who has rejected the offer from Real Madrid in summer when Zinedine Zidane left the helm of Santiago Bernabeu to stay at the German club. 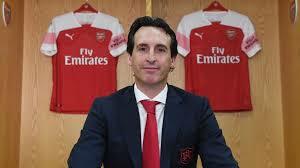 Unai Emery spoke out about the Englishman’s future at the club and was quite evident as the Spaniard sees a spot in the first team for him next season when the loan expires. Meanwhile, Reiss Nelson is hitting the ground running he netted in his debut and will look to earn his way into the Hoffenheim starting eleven, which, given the capabilities that he has and the Bundesliga tendency to understand the best in young attackers.